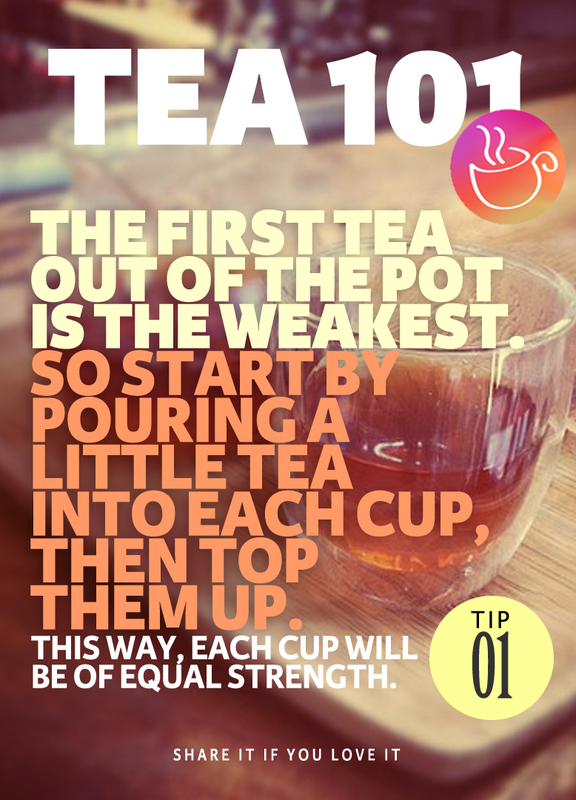 This entry was posted in Tea 101, Tea Design and tagged tea, Tea 101, Tea Brewing Tips, Tea Poster, Tea Tip. Bookmark the permalink. Great tip. But once had a relative who loved his tea first out of pot – we used to call it dishwater! Thank you, stay connected for more tips.